Here’s a current list of the main GlobalEye photography websites. We now operate four stock library sites plus a couple of specialty sites showcasing our contributing photographers and their work. Backing that up is an even larger network of blogs, resource sites and online services, designed to support our photographers and our brand, assist with SEO and generate visitor traffic. I’ll also make another listing shortly of my other websites… non-photography sites I’ve set up for friends, family and other interests… watch this space! 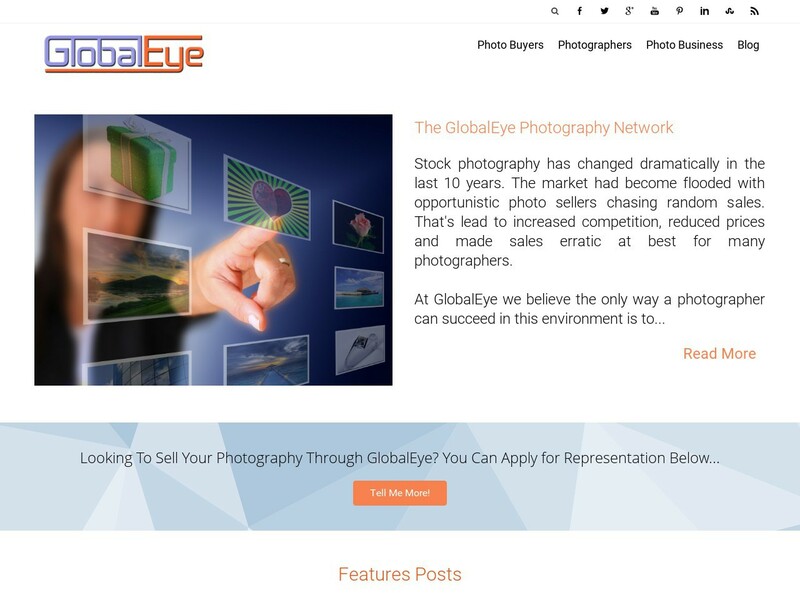 GlobalEye Stock Photography offers professional photo buyers direct access to our international database of freelance photographers and their stock images. This is our latest stock platform... same great photographer, same amazing images, but a new improved platform with cutting edge feature sand functions we'll soon be implementing on all our library websites. 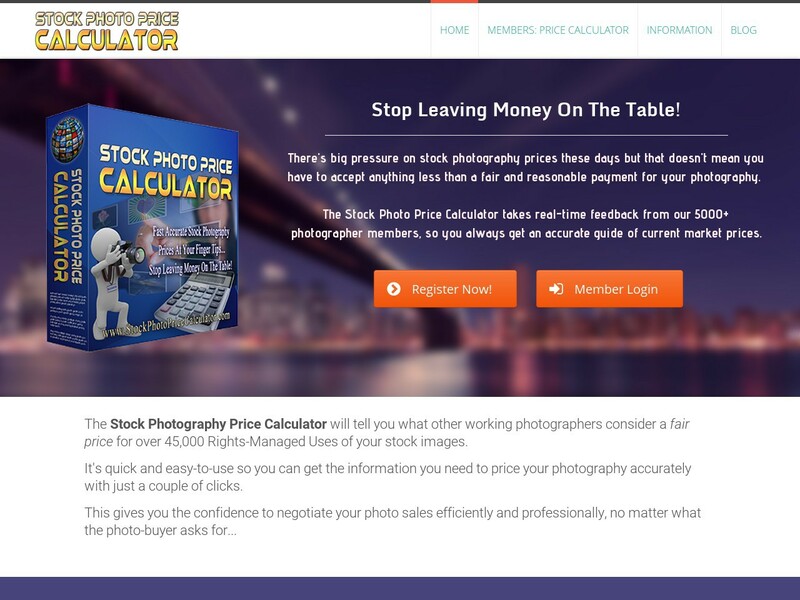 This is the public access website for the Stock Photography Price Calculator we developed to use internally on our stock library websites. We've always thought it important that photographers have access to good information on the real value of their images though, so it made sense to make that accessible to any photographer who wanted it. Unfortunately 'fair and reasonable' payment for photographers tends to be the exception these days, so please check it out while you're here, and give it a social share, either with the icon above or when you get to the site... your photographer friends and colleagues will appreciate the heads-up! 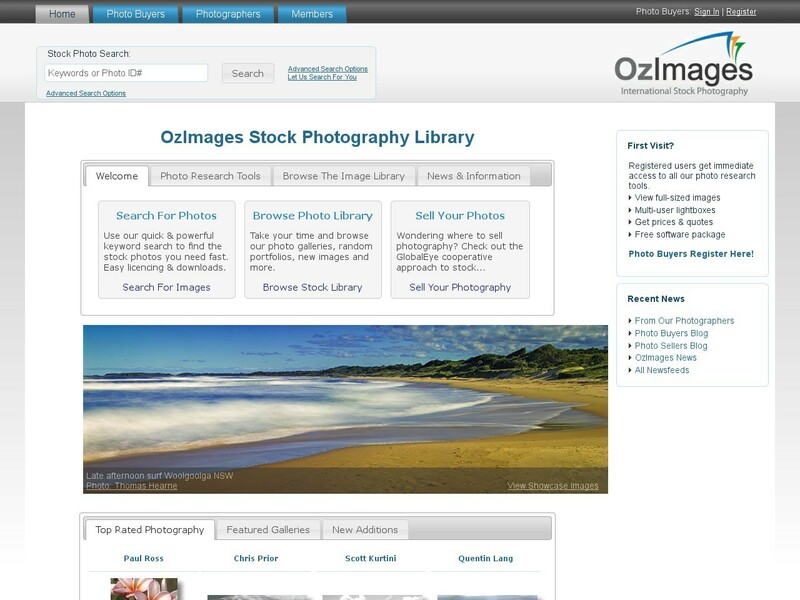 OzImages was our original stock library founded in 1998. Originally we were just a bunch of Aussie photographers so the name was apt, but that quickly changed as we brought in a broader mix of top international photographers. Eventually we launched GlobalEye as a more appropriate 'brand' but OzImages remains the preferred outlet for many of our photographers, Australian and overseas. 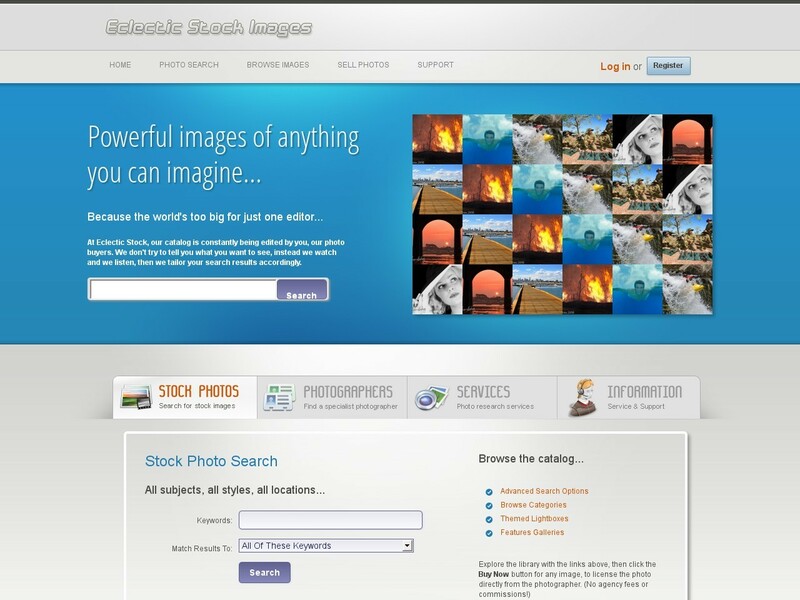 Global Photographer Search is another specialty site offering buyers easy access to a large database of international photographers. GlobalEye Members have priority listings by default, but non-members are welcome to list their photography businesses as well, for the accompanying assignment leads as well as the SEO benefit that comes with such a high quality backlink to their website. Almost as soon as we launched OzImages in 1998 we started attracting a lot of international photographers and it quickly became our library was going to offer images from all over the world. It also became clear that the OzImages name wasn't the best brand for our content, so we eventually set up GlobalEye to help us market to a broader international audience. 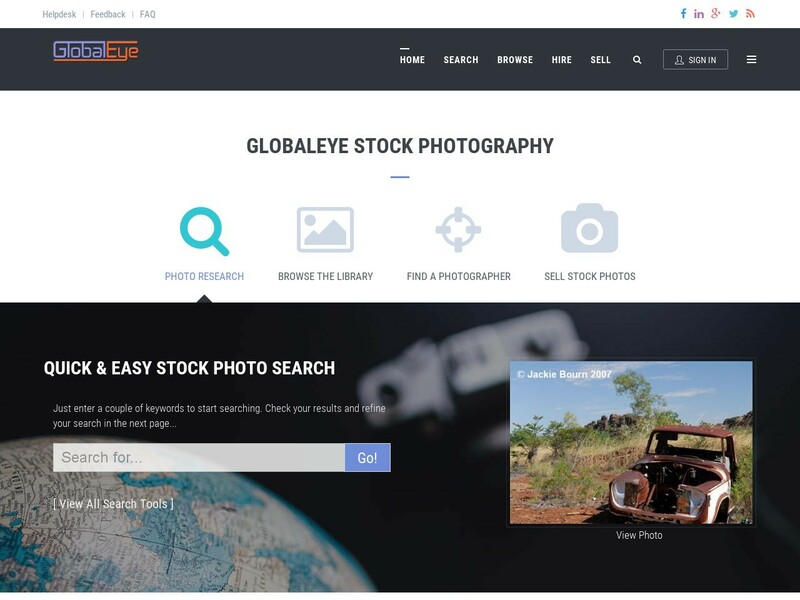 Eclectic Stock is an alternate 'shopfront' stock library website we set up after GlobalEye Images, to test out some different marketing approaches without impacting our main websites. At the time Google was making a LOT of rule changes so it made sense not to do anything too drastic or risky with GlobalEye or OzImages. Some of our trials worked better than others, but these days Eclectic has developed a solid following of photo buyers who like the layout and options. 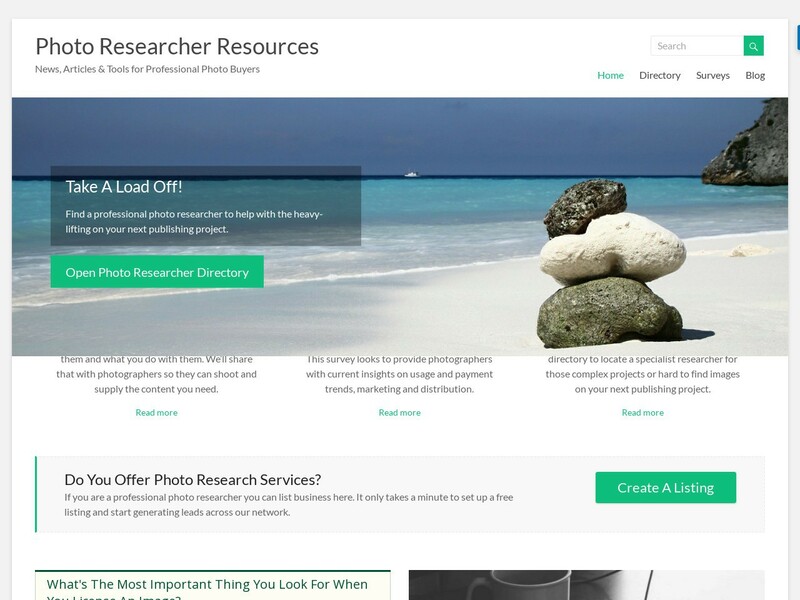 This is our site for News, Articles & Tools for Professional Photo Buyers. It's also the platform we set up to conduct various industry-related surveys and polls. There's currently a Photographer's Survey running... if you haven't added your voice yet, please take a moment to do so now. It all helps and results will be published fro all participants once we close it off. Designing and developing your photography website can be incredibly satisfying and a lot of fun. Unfortunately most web hosting packages are seriously over-complicated and packed full stuff photographers don't actually need, just to make them look like 'good value'. And what a lot of hosts don't tell you, is that building the website is only half the battle. Promoting it to generate targeted visitor traffic is the real challenge, and even then you still need the know how to convert that traffic into cash... So a little while back we decided to offer a limited number of our own hosting packages to photographers, tied in with a private training and resource section to ensure their website was a profitable exercise, and not just some high-tech vanity publishing. This site is currently having a major upgrade, so we're not taking on any new clients just at the moment. GlobalEye Group is our 'corporate' website, but these days most of our efforts are focused on our library websites, so this is little more than a network directory and corporate blog. We do post a lot of news updates there from our photographers though, as it's one of our best SEO sites and has always generates some good traffic for our libraries. Feature Articles is one of the first specialty sites we set up to cater to the editorial buyers looking for complete photo essays rather than individual stock images. A lot of our photographers do write as well, so our Galleries provided a useful format and Feature Articles now provides an ideal platform. This site isn't as busy as the stock libraries, but when the sales do happen, they definitely make it worth the effort.